Maths Box Orange brings maths to life through unique and engaging problem solving situations. It is a unique multi-levelled and multi-topic resource providing activities designed to improve the mathematical understanding of students. It is a high-quality Australian resource, based on the Australian Curriculum and NSW Syllabus. 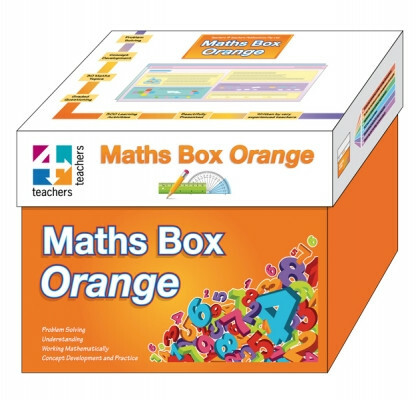 Maths Box Orange is great for individuals or groups. It is written by experienced Australian teachers including Harry O’Brien (Maths Plus), Steve Murray and Deborah Reinholtd, who is the Primary Maths Teacher of the Year for 2012. The box covers 30 topics, with 30 sets of 10 cards. This makes an extraordinary 300 activity cards. In addition to this, there are two sets on chance and data and there are problem solving tasks presented on nearly every card.